Many editions of the works of Burns have included studies of the people associated with him during his life and after. This book traces Burns’s family members in chronological order along with his friends and contemporaries. There are three main illustrations with an explanatory history to each page featuring portraits and sites associated with each individual. This highly decorated volume has been scrupulously researched, compiled and written by Douglas Hunter, who has discovered new material which corrects long accepted data by past authors; produced in full colour, with approx. 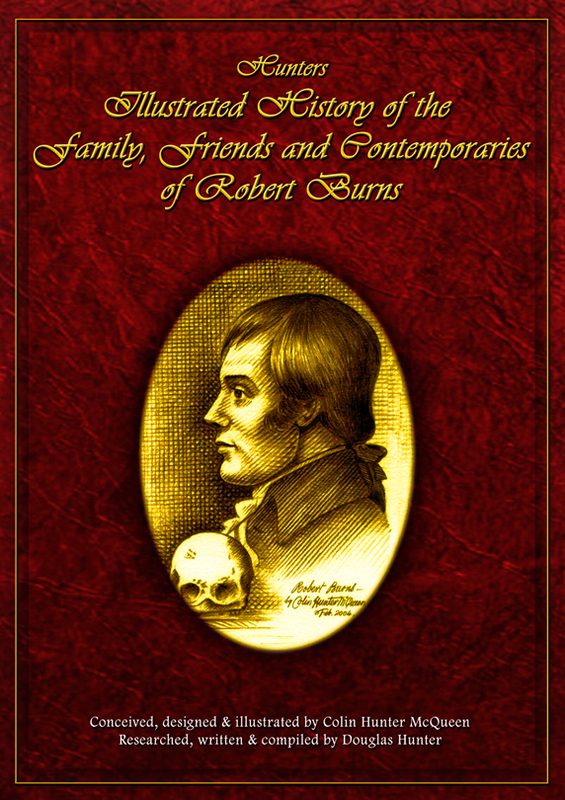 600 beautifull illustrations and at 310 pages is a valuable edition to any collection, not only for its lavish quality, but its highly informative and thoroughly researched content concerning the people and places associated with Robert Burns. It will certainly be a cherished family heirloom for future generations. Signed and numbered by the artist, one of a registered limited edition of 1000 prints 35″ x 19″ including 1.25″ white border. This very fine and detailed work in oils (original size 59″ x 27″ ) depicts a scene from the ‘Battle of Culloden’ on Drummossie Muir. in Glasgow’s museums where some of his work is on permanent display. The Print will be packaged in a sturdy cardboard tube.